Lugger truck Rental at Premier Truck Sales and Rental is fast and easy. Premier makes it easy and fast. Rent for the week, month or year. 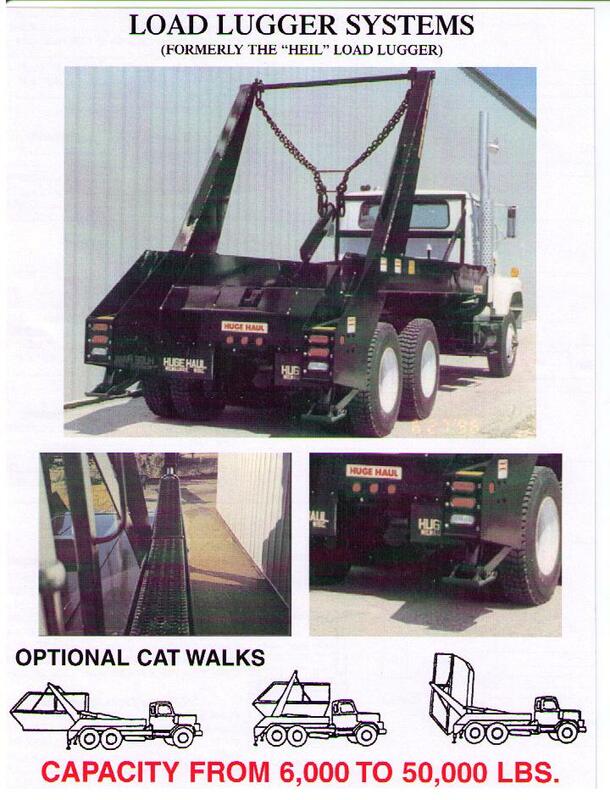 These are great Load Lugger, Huge Haul hoists made by BENLEE, the leader in Roll off Trailers and Open Top Trailers. Of course Premier Truck Sales and Rental is also a great place to buy used lugger trucks that have been maintained to the highest standards in the industry. Lugger Trucks also known as Load Lugger Trucks will be for sale at BENLEE starting next month. BENLEE will be announcing formally the acquisition of Huge Haul, the premier Lugger Truck builder in the United States. BENLEE will use its quality and engineering systems to ensure that the Huge Haul Load Lugger design is improved upon to be truly best in class, so when it comes to looking for a Lugger Truck for Sale, Call BENLEE at 734-722-8100. We will also back it with the best support in the industry including having 99% of all spare parts in stock that you would been for same day shipment or pick up. Lugger Trucks and Lugger Hoists are now going to be built by BENLEE. This is a pre-announcement of our Press Release of early January. BENLEE is proud to have acquired the assets of Huge Haul, by far the best of the best in building Lugger Trucks, Load Lugger Hoists. When BENLEE was acquired about 11 years ago it built great products at the time. Over the years though, not only did BENLEE make over 30 improvements over the years as well as developed new products like the Super Mini, Roll off Truck Replacement Trailer. The market for Lugger Hoists is small, compared to Roll off Trailers, but still an important market, especially in major cities Lugger Trucks, also know as Load Luggers. Importantly, many BENLEE customers use Lugger Hoists, so they will not be able to buy Lugger Trucks from BENLEE.